This reading group guide for House of Names includes an introduction, discussion questions, and ideas for enhancing your book club. The suggested questions are intended to help your reading group find new and interesting angles and topics for your discussion. We hope that these ideas will enrich your conversation and increase your enjoyment of the book. From the thrilling imagination of bestselling, award-winning Colm Tóibín comes a retelling of the story of Agamemnon, Clytemnestra and their children—Iphigenia, Electra and Orestes. Tóibín brings a modern sensibility and language to an ancient classic, giving these extraordinary characters new life. As you see Iphigenia’s sacrifice through Clytemnestra’s eyes, you understand her thirst for revenge on the husband who dared sacrifice their daughter. When Orestes is kidnapped and separated from his family, you feel his bewilderment and searching, his lost sense of self. As Electra adjusts to life in the palace with her mother and her mother’s lover Aegisthus in charge, you calculate a path forward with her. Ancient Greece rises from the pages of Houses of Names, full of betrayals, violence, lust, schemes, treachery and—perhaps above all—the restless spirits of the past. Even though House of Names is animated by murder and mayhem and the struggle for power, it is still a story about a single family as it tears itself asunder. No matter what happens, I was dealing with family dynamics, something I have been dramatizing in all my books: the same emotions, the same regrets, the same elemental feelings. Only this time it was happening in ancient Greece rather than in the streets of Enniscorthy. 1. Clytemnestra speaks of “a hunger I had come to know too and had come to appreciate” (page 3) in the opening pages. What does this hunger signify? Why do death and appetite come together in these early scenes, particularly for Clytemnestra? 2. Agamemnon and his men seem to believe in the gods so much that they will sacrifice Iphigenia unquestioningly, while this act cements for Clytemnestra “that I did not believe at all in the power of the gods” (page 32). Do you think she is the only one with doubts? 3. Why does Clytemnestra brush Electra aside after Iphigenia’s death? Could the consequences of Clytemnestra’s “first mistake” (page 40) with Electra have been avoided? 4. Was Clytemnestra wise to trust in Aegisthus? What are his true motives? Would you have relied on him in Clytemnestra’s place? 5. As Clytemnestra leads Agamemnon to the bath where she will murder him she feels a “small pang of desire,” “the old ache of tenderness” for him (page 62). Why do these feelings spring up? Why do they not give her second thoughts, instead of strengthening her resolve? 6. After Orestes is taken, Clytemnestra still imagines “exerting sweet control” over Aegisthus and Electra and “the possibility of a bloodless future for us” (page 69). How is she able to be so optimistic at this point? 7. With Leander and the guards, Orestes feels that “if only he could think of one single right question to ask, then he would find out what he needed to know” (page 101). Why is this? How does this feeling characterize Orestes throughout the novel? 8. When Orestes needs to attack one of the men pursuing him, he thinks he “could do anything if he did not worry for a second or even calculate” (pages 124–25). How does this kind of thinking play out in his future actions? 9. Why does Mitros refuse to share with Orestes and Leander what the old woman told him would happen to them in the future (page 138)? How does their time with the old woman, Mitros and the dog shape both Orestes and Leander? 10. Does Electra mourn Iphigenia? Why does Electra so completely spurn Clytemnestra, envisioning her death in the sunken garden with a smile (page 147)? 11. How is the dinner where Electra wears a dress of Iphigenia’s and attempts to catch the eye of Dinos a turning point for her? 12. Why does Electra tell Orestes they live in a “strange time . . . when the gods are fading” (page 206)? 13. When Mitros’ father talks with Orestes about Clytemnestra and Aegisthus, Orestes says Clytemnestra “did not kill Iphigenia,” and Mitros says the gods demanded that and continues to lay all blame at Clytemnestra’s feet (page 217–19). Eventually, Orestes is swayed by Mitros’ insistence that Clytemnestra is in control of all and must be punished. How are they able to brush aside Aegisthus’ and even Agamemnon’s actions? 14. As Orestes prepares to kill his mother he envisions “what was coming as something that the gods had ordained and that was fully under their control” (page 234). But who else might be controlling Orestes in this moment? 15. After Clytemnestra’s death, how do Electra and Orestes continue to reflect and be affected by their mother? 16. Names—calling them, invoking them, remembering them—are significant throughout the novel. What power do they hold? Discuss what names mean to the old woman, the elders who lost their sons, Orestes and Leander and Clytemnestra. 17. House of Names is told from Clytemenestra’s, Orestes’ and Electra’s points of view. How do their different perspectives shape the narrative? What might Agamemnon’s account be like? 18. In his note about how he came to write House of Names, Tóibín says that “even though House of Names is animated by murder and mayhem and the struggle for power, it is still a story about a single family . . . something I have been dramatizing in all my books: the same emotions, the same regrets, the same elemental feelings.” Are there insights you draw from this novel akin to those you might draw from a more conventional family story? 1. The Travelling Players is a 1975 Greek film directed by Theodoros Angelopoulos that reinvents Aeschylus’ The Oresteia and traces the history of mid-twentieth century Greece from 1939 to 1952. Watch the film and discuss its parallels with House of Names. 2. Read Eugene O’Neill’s play cycle Mourning Becomes Electra, a retelling of The Oresteia. Contrast Tóibín’s version of the story with Eugene O’Neill’s. 3. 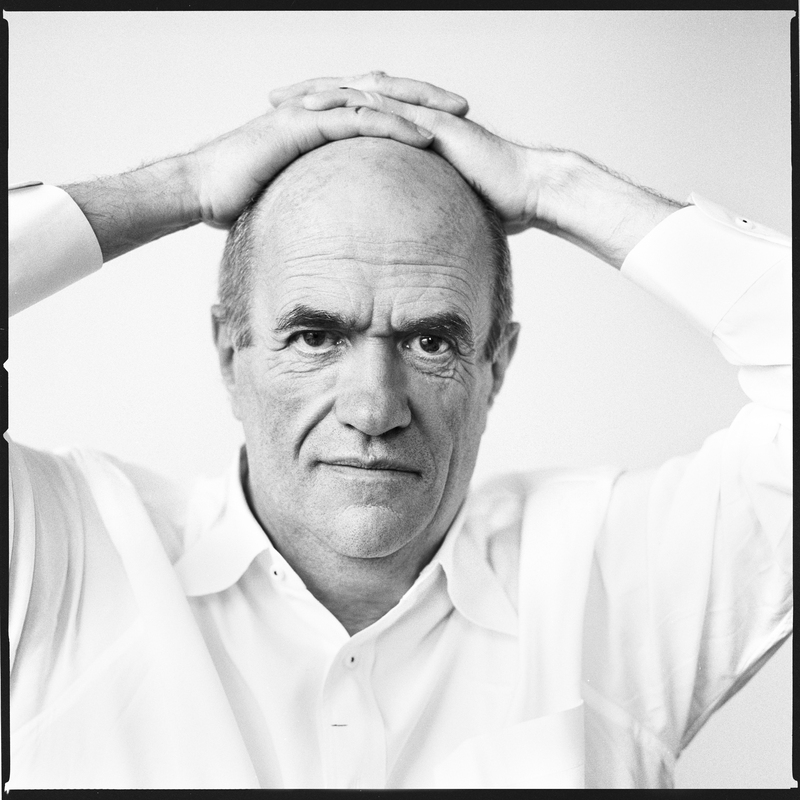 Read Colm Tóibín’s The Testament of Mary. How is Mary like Clytemnestra? How are they different? What might have drawn Tóibín to reinterpret these iconic women? "A psychological and political thriller following the sacrifice of Iphigenia...told with remarkable literary restraint…Tóibín has poured old wine into an exquisite new bottle, using invisible artistry to make it seem as if there is nothing to it." 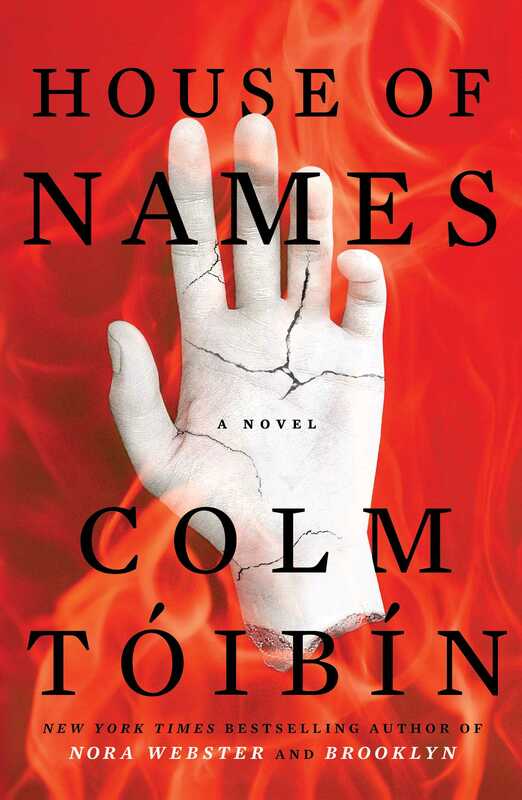 "A well-wrought urn of a novel, with Tóibín commanding form, tone and structure on every page." "A brilliant and challenging reinvention of the Greek myths of the bloody House of Atreus, or as Tóibín terms it, the House of Names... Euripides would approve." "Vengeance, betrayal and elemental passion never go out of style."